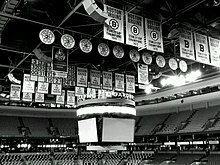 "The Bruins" redirects here. For other uses, see Bruin (disambiguation). ^ "Noel Picard". Hockey Hall of Fame. Retrieved 2012-03-12. 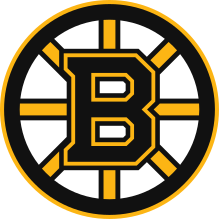 ^ "Boston Bruins Change Hands". Associated Press. October 12, 1951. Retrieved 19 March 2012. 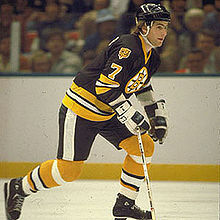 ^ "Adams after Adams as Bruins president". United Press International. April 1, 1969. Retrieved 17 March 2012. 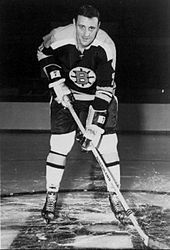 ^ "Storer Denies it Will Dump Bruins Prexy". Associated Press. 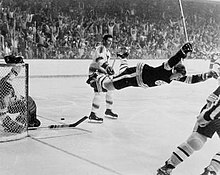 February 14, 1973. Retrieved 17 March 2012. ^ "Jeremy Jacobs – Greater Buffalo Sports Hall of Fame". Retrieved 2019-02-24. 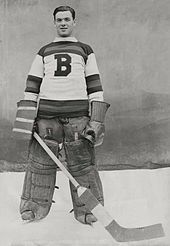 Wikimedia Commons has media related to Boston Bruins.